Although compliant with US GAAP, the reported results of a potential acquisition target, often do not reflect the sustainable run rate of the company’s cash flows. This article defines the difference between reported results and quality of earnings and how a quality of earnings analysis can potentially impact the purchase price and set the expectations of value of a potential acquisition. Quality of Earnings (“Q of E”) in the context of a potential acquisition has a different meaning than quality of earnings from an audit perspective. Put simply, quality of earnings in a transaction environment represents the sustainable run-rate of earnings before interest, taxes, depreciation and amortization, or EBITDA, derived from normalization adjustments to reported results. Adjusted EBITDA is a critical element for buyers in building a valuation model and is often the basis for purchase price negotiations. Acquisitions are typically priced based on a multiple of EBITDA. 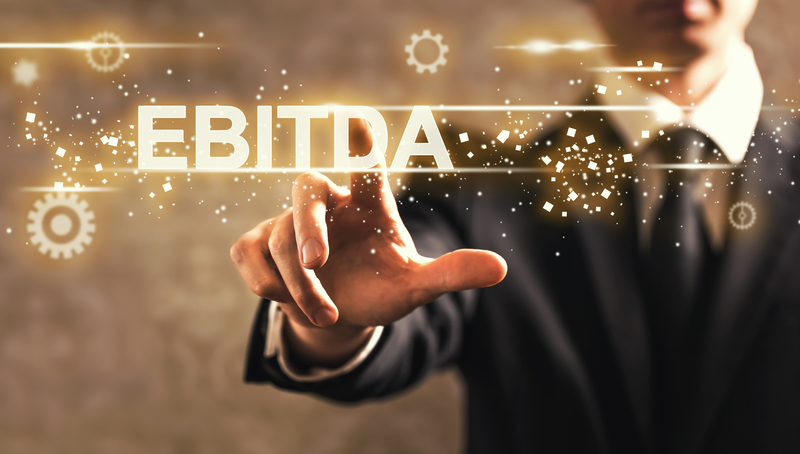 If EBITDA as reported is not critically analyzed and adjusted, the buyer may pay too much for the target, lowering potential returns and negating the value of potential synergies. The multiplier effect is generally what separates relying on audited financial statements from normalized results. Audited financial statements are helpful as a starting point for reported results, but they are typically of limited use due to their reliance on materiality for recording adjustments to EBITDA. Additionally, audited financial statements do not make adjustments for one-time, non-recurring events; rather they seek to make sure that these events are accounted for correctly. For instance, assume a target won a significant legal settlement and reported a gain of $1 million. The target’s auditors will review the transaction for the appropriate accounting treatment. If this gain was not normalized in the context of a Q of E analysis, the buyer might pay a multiple of that gain. On the other hand, assuming the $1 million was a loss rather than a gain, EBITDA should be adjusted to reflect the sustainable run-rate. It is important to note that adjustments can go both directions depending on the nature of the item. Most audit programs establish a materiality level for errors or passing on potential adjustments, usually based on a percentage of net income, assets, revenue or other metric the particular auditor is comfortable making as the threshold. 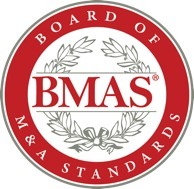 As a result, proposed adjustments or errors that fall below the materiality threshold are noted in the audit workpapers, but are not generally recorded. Here again the multiplier effect can be significant. Assume the materiality level for audit purposes was $500,000. Assuming the target should have written off $300,000 of inventory at year end but passed on the entry because it was below the materiality threshold, the buyer could pay a multiple of $300,000 too much for the target. Potential Adjustments based on due diligence procedures. EBITDA as reported is not difficult to compute and is generally not a point of contention between the buyer and seller. The analysis begins with net income as reported and adjusts net income for depreciation and amortization expense, interest income and expense, taxes, and other cash or non-cash items to arrive at EBITDA as reported. The key is to make sure the amount reconciles to the company’s financial statements. If the target uses advisors or is a sophisticated seller, adjustments will generally be provided in an effort to normalize EBITDA to what management considers the sustainable run-rate of EBITDA. A healthy skepticism should be used to critically analyze each proposed adjustment to determine both the amount and appropriateness. Buyers should seek supporting documentation (invoices, payroll registers, etc.) wherever possible to confirm the amounts. For instance, if management proposes an adjustment for a one-time severance expense, ask for supporting payroll documents to confirm the amount. Additionally, buyers should gain an understanding of the nature of the reduction in force (RIF) and ask whether positions were back-filled subsequent to the RIF. If so, an adjustment to management’s proposed adjustment might be appropriate. When analyzing for potential adjustments, the buyer should take into consideration whether management appears aggressive or conservative, how management might be impacted by incentive compensation or other integrity matters. Additionally, the quality of the accounting records could negatively impact the buyer’s ability to quantify and support potential adjustments. Keep in mind that not all adjustments are clear cut. For instance, suppose a buyer is performing due diligence on a tuxedo rental company in March 2000 and the buyer’s analysis indicates that revenue for December 1999 was significantly higher than that of December 1998. After further inquiry, it is determined that the significant increase in revenue (included in the trailing twelve-month period) was due to the millennium celebrations, which will not occur again for another 1,000 years. Adjustments of this kind require a critical analysis of historical growth and margin trends to determine an appropriate adjustment amount that both the buyer and seller can agree to. Professional skepticism and judgment, understanding of the target’s business and industry cycles and a thorough analysis are critical to performing a proper Q of E analysis. In summary, a thorough Q of E analysis conducted by an experienced team of professionals is one of the keys to confirming the underlying basis for the purchase price in a transaction. Experience and expertise in identifying adjustments impacting EBITDA and an understanding of the nuances of the company’s business is instrumental. Tony Enlow has over 15 years of experience providing financial due diligence and transaction advisory services. He has worked on over 300 transactions ranging in size from $5 million to $40 billion and has assisted buyers and sellers that include private equity, public and private companies focused on transactional quality of earnings, cash flows and working capital. He has experience in a number of industries including agriculture companies, multi-location retail and restaurant, manufacturing, textiles, regulated and unregulated energy and energy related services, professional services, technology and many others.